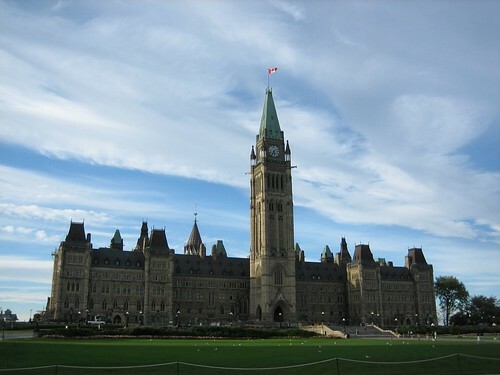 These are some pictures from my trip to Ottawa for the Equinox Summit. First time in Canada and so far bad experiences with immigration, to get in and to get out! Remember to take with you *some* proof of what you are going to do there, or they are just going to be a pita. To get out, the US immigration decided to do some extra checks on me, due to my common name they said, although it was the same name as the previous 20 times I entered the US, sight. Luckily the plane waited for me and that was tight as I was flying Ottawa-New York-Los Angeles-Manila-Cebu, miss the first one and you miss 4 flights. Anyway Ottawa was hotter than expected and I just had some time to take a quick walk around the Parliament area, very nice building. From the hill you can see the Ottawa river and the Rideau Canal that gets frozen in winter to form the world’s longest skating rink. Definitely the city must be more interesting in winter. 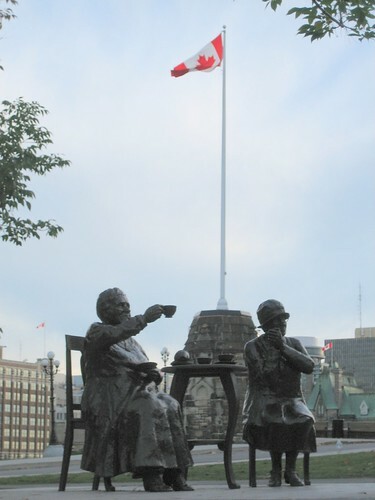 Thanks for the pics… I lived in Ottawa for 2 years so the photos evoke many memories. 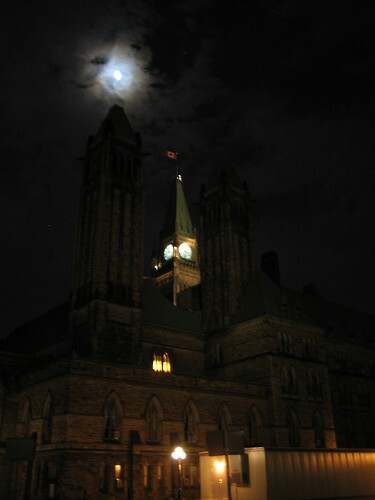 That night time shot of Parliament is _fantastic_ ! I hope you enjoyed your stay.